Derek Vincent Smith (born November 25, 1981), better known as Pretty Lights, is an electronic music artist, and also the owner of the label Pretty Lights Music which has under it artists of similar genre. In 2010, Pretty Lights played at the 2010 Coachella Valley Music and Arts Festival, the Ultra Music Festival in Miami, the 2010 Marchone Music Productions Illumination Show in Nashville, the 2010 Evolve Festival in Nova Scotia, Movement 2010 (the Detroit Electronic Music Festival), the 2010 Starscape Festival, Camp Bisco 9, Nocturnal Festival at Apache Pass, Texas, the 2010 Electric Zoo at Randall's Island in New York City, New York, the North Coast Music Festival in Chicago, Illinois, and the Outsidelands Festival in San Francisco, California. More recently, they headlined the Snow Ball in Avon Colorado along with Bassnectar and the Flaming Lips. In June 2011 Pretty Lights had a late-night set at Bonnaroo, where he debuted the hit song "I know the Truth." Smith also debuted his state of the art light show in early 2011 involving LED towers made to look like a cityscape. Most recently in July 2011, he headlined at the Electric Forest in Rothbury, Michigan, at Camp Bisco's 10th anniversary in Mariaville, NY, and at All Good 2011 in Masontown, WV. 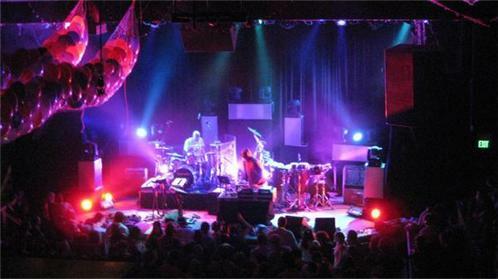 At All Good 2011 Pretty Lights released what Smith described onstage as a special "one in a lifetime" track, a remix of John Denver's "Take me Home Country Roads". Pretty Lights released a new full-length album titled A Color Map of the Sun on July 2, 2013. This is the first Pretty Lights album that does not rely on borrowed samples. Smith conducted and composed all music for the record himself and with musicians in studios in Brooklyn, New Orleans and Denver. He then pressed those recording to vinyl to create his own catalog of music to sample from. The album is being released as a free download via prettylightsmusic.com as well as on vinyl, CD and on various online music retailers.